With the increased interest in more compact smartphone, OEMs have thrown in their attempt at "miniaturizing" their flagship smartphones. HTC did it with their One mini, Samsung did it with the Galaxy S4 Mini and to be quite frank while the attempts are valiant there are obvious corners being cut on both devices leading to unwanted compromises. 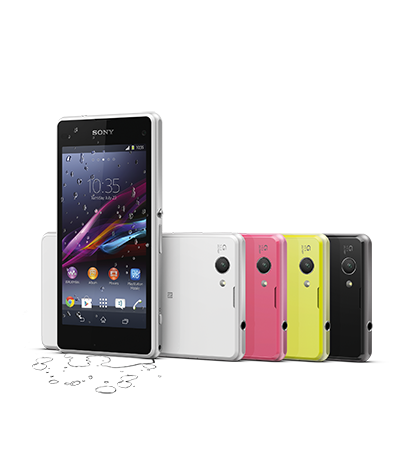 Sony looks to buck the trend of compromises by litteraly taking the flagship Xperia Z1 and repackaging it in the Z1 Compact. With a 4.3-inch 720p display and smaller 2300mAh battery but virtually the exact same internal specifications and water/dustproofing as the flagship Z1, the Z1 Compact looks like an absolute beast on paper. We are pleased to see Sony move to an IPS display as Sony's phones have historically been criticized for less than stellar displays in their flagship devices and the Z1 Compact looks like it bucks the trend. While there is no word on Canadian availability, we hope that the Z1 Compact makes it to Canada to go head to head with the HTC One mini as well as the Samsung Galaxy S4 mini.